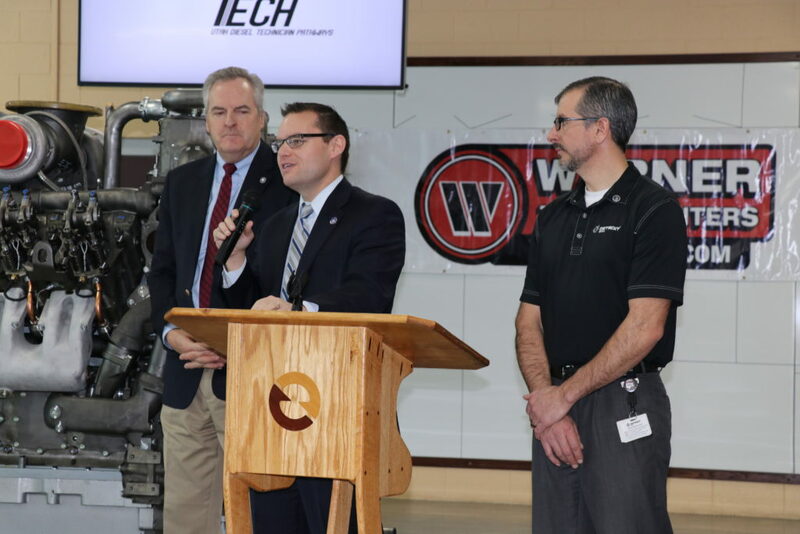 The Utah Governor’s Office of Economic Development (GOED), diesel industry leaders and education leaders today announced the expansion of the Utah Diesel Technician (Tech) Pathways program to now include the Davis and Tooele tech colleges in partnership with their corresponding school districts. In addition to the program’s already existing industry partners, various companies from both the Tooele and the Davis county regions have joined the partnership with this expansion to support Utah students. The Diesel Tech Pathways program is designed to provide Utah students a direct pathway from high school and college to the workforce. This program is part of Gov. Herbert’s 2016 initiative for Talent Ready Utah, which focuses on developing and enhancing job-training programs to meet current industry needs for more qualified workers. Talent Ready Utah plans to fill 40,000 high-skill, high-paying jobs by 2020. Since 2017, more than 120 students have enrolled. Industry partners have provided partner schools with new up-to-date technology including new engines and complete tool sets.